Laracon Europe is a two-day event in historic Amsterdam where you'll meet many members of the Laravel community and listen to engaging presentations about the art of software engineering and more. Bimhuis is one of the most beautiful and intimate venues in Amsterdam. Enjoy talks from engaging speakers while watching the activity of Amsterdam as a backdrop. Amsterdam is a popular summer destination, so be sure to secure your accommodations as quickly as possible to prevent hassle and reduce costs. Amsterdam has a broad range of accommodations available including hostels, direct hotel bookings and airbnb reservations. We couldn't have Laracon without our generous sponsors. Want to be one of the first to learn about new speakers? 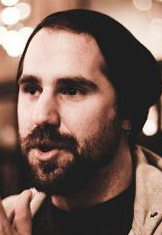 Phill is a member of the Laravel Core Team with shared responsibility for community engagement and support. 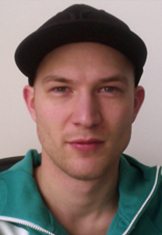 He has spent a lot of time reviewing the code changes in the previous releases of Laravel and continues to provide insights on new developments. He is a technical programmer and applies his interest in creating elegant solutions for complex problems as Lead Database Developer at CrowdLab. Laravel makes use of quite a few well-established design patterns that promote reusable object-oriented code. Together, we will investigate the design patterns used in the core of Laravel 4 and discuss how they encourage reusable software. 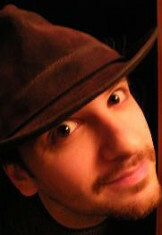 Jordi is a lead developer of Composer, the PHP dependency manager that has taken the PHP world by storm. Composer is a new PHP dependency manager that can solve a lot of common problems you may have. In this session you will learn how to leverage Composer to achieve various more advanced tasks like using a fork of a project, hosting private packages or specifying advanced version constraints. You are expected to already be comfortable with Composer usage and eager to learn about it in more depth. 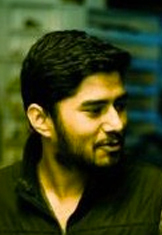 Kapil is a software engineer that specializes in application architecture design. He has significant experience in designing software that is able to quickly react to vague and constantly evolving business requirements. He is currently involved as a project-manager, consultant and developer at multiple startups in Delhi. One of Laravel's core strengths is that it grows with the developer. In this talk we focus on what exactly that means. How can we improve our application architectures past what developers have come to expect from MVC frameworks? We'll explore strategies for code organization, modeling your domain and creating code that is loosely coupled and easy to maintain, all done with examples based on real-world experience. Object Oriented Design can add a lot to a project with just a little effort. With a bit of OOD code flows more naturally, can be refactored easier and tests become simpler to write. We will discuss these ideas as well as compare and contrast various design techniques. Developers are expected to stay up-to-date with all the latest in the world of code. Learning other languages is a great way to expand our toolkit, but it has more advantages than just learning new tricks. In this talk we'll look at other languages, communities, developers and the knowledge they share. 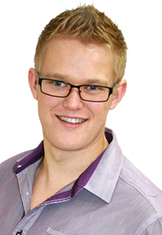 Jeffrey is a web developer, writer and head of web development courses at Tuts+ Premium. A self-diagnosed Laravel evangelist, he spends his days digging into cutting edge technologies, and finding new ways to teach complicated concepts. He's also the author of Laravel Testing Decoded. Let's be honest: the PHP community hasn't lead the pack, when it comes to evangelizing test-driven development. In the last year, though, the tides have begun to turn. Never before have we had such a breadth of tools and frameworks at our disposal. PHPUnit, Mockery, Codeception, PHPSpec, Behat...the list goes on. Now that the proper tooling is available (and for free), the only course of action is to redefine the way in which we write applications. This session will review a variety of testing tips, techniques and pitfalls. 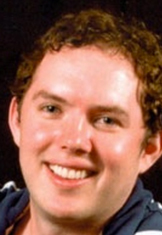 Ben is the lead engineer at Cartalyst, Director of Webcomm and developer for Kapture. His days typically involve a mix of developing the hottest Composer-based PHP packages and applying the theoretical use of the newest technologies, frameworks and code in real-world scenarios. With Composer quickly emerging as the standard for reusable PHP packages and unifying development, people are finding it easier than ever to find well tested packages to help them build a better app, quicker. The design choices of those packages dictate how easy it is to integrate with your [non] framework of choice. For package developers, this will help your package gain popularity and encourage contribution - strengthening & stabilising the package, unifying the community. For package consumers, this will help you finish your job quicker, go home and enjoy the things you work so hard for. 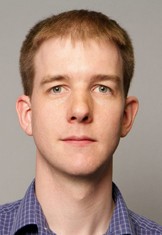 Ben’s talk will discuss an approach to developing packages that integrate beautifully in many frameworks, through the use of interface-driven code, multiple implementations and adaptors as well as the use of the facade pattern. This will be done in theory and in practice through the deconstruction of Sentry - Cartalyst’s most popular package. Ross Tuck is an American developer, living in the Netherlands, working at Ibuildings, wearing a hat, and wishing he was reading a book. 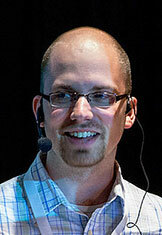 Taylor Otwell is the creator of Laravel and a Software Engineer at UserScape. Striving to provide the best web development tools available in PHP, he has written numerous powerful libraries, including the Eloquent ORM and the Blade templating engine. 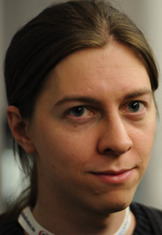 He is passionate about software architecture, developer happiness, and simplicity. 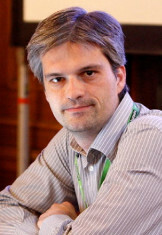 Fabien Potencier discovered the Web in 1994, at a time when connecting to the Internet was still associated with the harmful strident sounds of a modem. Being a developer by passion, he started to build websites with PHP5 in 2004 and created the Symfony framework to help SensioLabs, his company, leverage the power of PHP for its customers. Fabien is also the creator of other Open-Source projects, a writer, a blogger, a speaker at international conferences, and a happy father of two wonderful kids. Symfony is all about standardization and interoperability. The Symfony foundation is largely based on existing standards like HTTP, but it also leverages existing best-practices and design patterns like dependency injection. Learn more about the fundamental philosophy of Symfony and why embracing these core concepts is good for PHP as a whole.